Scott Berman has a varied practice in complex securities, fraud, and commercial litigation with a special focus on securities litigation and professional liability. Amongst others, he represents and advises large institutional investors, funds of funds, investment advisors, and wealthy individuals in high-profile matters involving hedge funds and their auditors, administrators, prime brokers, and other professionals, and has procured significant settlements. He represents clients in state and federal courts, including at trial and arbitration. Representation of the Official Stanford Investors Committee in connection with litigation against five banks alleging fraudulent conveyance, aiding and abetting fraud, and other claims related to the demise of the Stanford entities. Representation of institutional investors that lost millions of dollars in Madoff feeder funds in litigation against the funds’ manager, parent, and auditor. Representation of a director and outside counsel for an offshore fund of funds that had invested in Madoff feeder funds in connection with clawback litigation brought by the Madoff liquidation trustee. 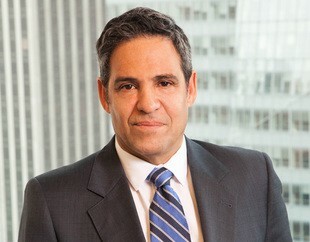 Representation of a hedge fund in defense of claims asserted in New York Supreme Court by four of its investors seeking the fund’s liquidation as well as damages in connection with purported breaches of fiduciary duty. Representation of large groups of institutional investors in Lancer Offshore, Inc. and The Omnifund, Ltd., as well as in feeder funds of Beacon Hill Master Fund and the joint official liquidators for the Beacon Hill Master Fund, following the funds’ demise, in litigation against the funds’ third-party service providers. Representation of the liquidators of Carlyle Capital Corporation Limited, a failed residential mortgage-backed securities fund, in connection with litigation against the manager and directors of the fund in the United States and Guernsey, together with other counsel. Representation of a major bank as one of the defendants in an interpleader action with hundreds of millions of dollars at stake brought by the trustee of a student loan indenture concerning the way in which payments should be made under the waterfall of the indenture. Representation of the principal of a failed hedge fund in bankruptcy proceedings. Representation of investors in the Granite Funds against three major banks in a case arising out of the misvaluation of collateralized mortgage obligations. Defense of a public company and its president in a class action and SEC investigation.